Once, there were many transcriptionists at the Record, a behemoth New York City newspaper, but new technology has put most of them out of work. 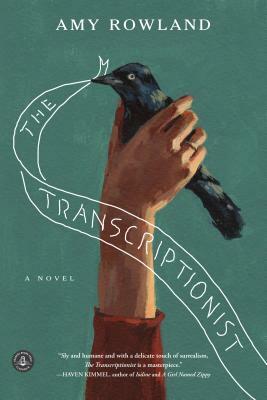 So now Lena, the last transcriptionist, sits alone in a room--a human conduit, silently turning reporters’ recorded stories into print--until the day she encounters a story so shocking that it shatters the reverie that has become her life. This exquisite novel, written by an author who spent more than a decade as a transcriptionist at the New York Times, asks probing questions about journalism and ethics, about the decline of the newspaper and the failure of language. It is also the story of a woman’s effort to establish her place in an increasingly alien and alienating world. Amy Rowland has spent more than a decade at the New York Times, where she worked, notably, as a transcriptionist before moving to the Book Review. Her articles have appeared in numerous publications, including the New York Times, the Smart Set, and the Utne Reader. She lives in New York City.